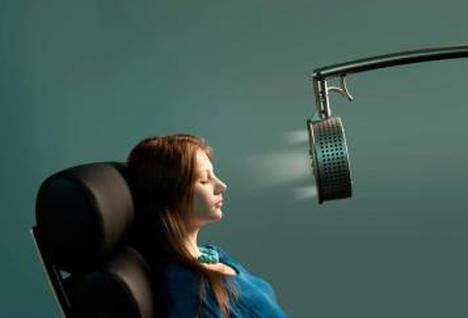 ​We offer the potential to reach such states of consciousness using a specialized meditation light called Lucia No.3. Click here to learn more about the hypnagogic light experience. Watch as Arlene spontaneously starts speaking about what she's seeing in her first session, you can see how it often has a more profound impact than you might expect. Check out some of the Video Testimonials. Here's a quick example of a hypnagogic light client's response after experiencing an effortless meditation session with the Lucia No.3 at Lucid Light of Austin. ​The Lucia N°03 gently entrains the brain, stimulates the central brain (including the pineal gland/third eye) and opens up a space for visionary exploration, an expanse of peace, indescribable beauty, inspiration, and clarity. Everyone has experienced the power of light to relax the body and mind, to connect more deeply with oneself, and to inspire. Visionaries, monks, prophets, shamans, and seekers have used light to to access consciousness for millennia. ​From simply facing the sun, to focusing on a candle or wall of candles, to staring into a crackling fire, we have all experienced the meditative calm and potential spaces of insight available. The Lucia N°03 helps clear the mind and allow even beginning meditators to reach a space of peace. It is not a replacement for a meditation practice. It's a peek at what's available to us within different realms of meditation. It allows you to see the beauty and expansiveness within while physiologically relaxing the body and mind. We believe it to be easier to find your way back to the meditative space than it can often be to find it the first time. The Lucia is stimulating due to how the mind processes light frequencies we gently apply to the closed eyes and relaxing because of the release of neurotransmitters and hormones associated with deep levels of meditation. While a 5-10 session series is recommended to help rewire the brain's pathways related to stress response, one session can provide an extended sense of having meditated deeply that often lingers for more than a day.